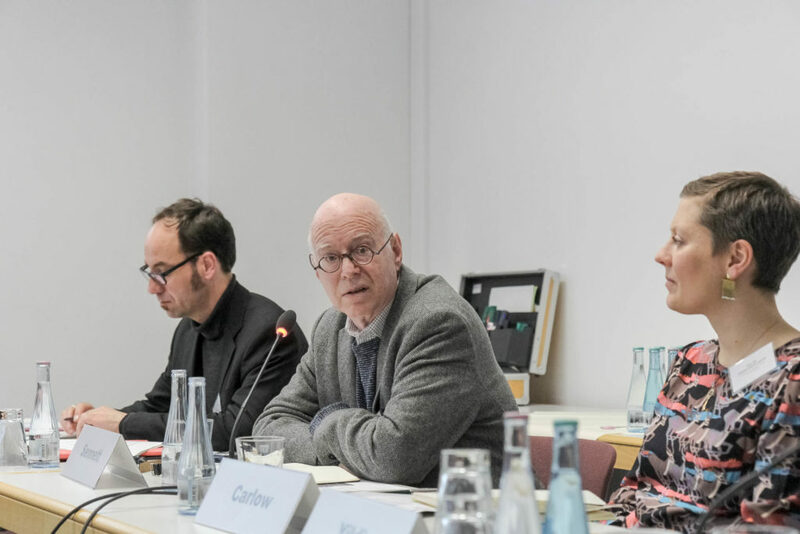 As part of the prototyping phase of the research proposal “OFFENE STADT,” funded by the program “URBANE TRANSFORMATION” of the Robert Bosch Foundation, a two-day workshop of the project team took place on January 12 and 13, 2017 at the German Institute of Urban Affairs (Difu) in Berlin. German Institute of Urban Affairs (Difu) in Berlin. Renowned scholars Prof. Dr. Johanna Rolshoven (Institut für Volkskunde und Kulturanthropologie der Karl-Franzens Universität Graz), Prof. Dr. Richard Sennett (Institute for Public Knowledge, New York University / Theatrum Mundi, London School of Economics), Prof. Dr. Schröder-Esselbach (Institut für Geoökologie, TU Braunschweig), Prof. Dr. Erol Yildiz (Institut für Erziehungswissenschaft, Universität Innsbruck) and Prof. Jochen Rabe (Einstein Zentrum, TU Berlin) advised the team on questions of urban development in view of current challenges. Learn more about current Advisory Board here.